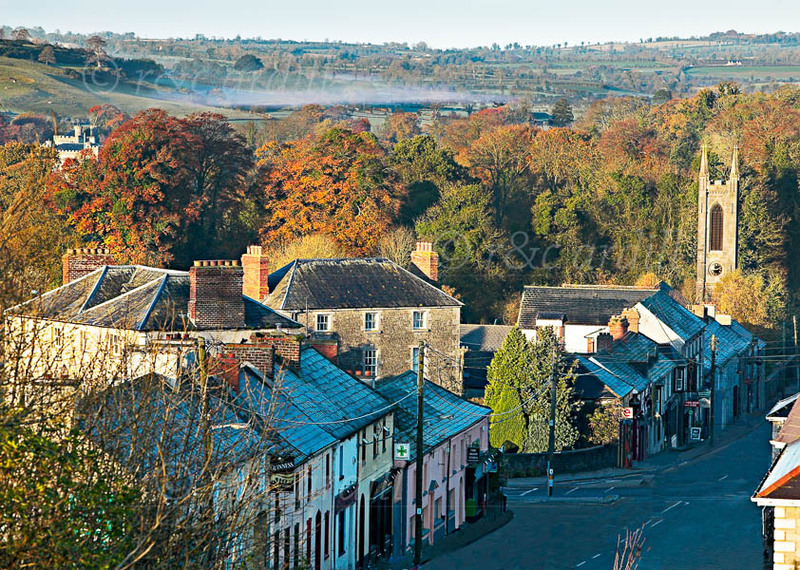 A frosty early morning view of Slane village in late Autumn. To the right of the photograph is the steeple of St Patrick's church. To the left of the image, behind the trees, Slane Castle can be seen.